In speaking to Millennials, I have discovered one thing is for certain, to Y’s there is nothing scarier than the… “A- Word”! The fear of becoming an Adult and taking on full responsibility for one’s life, which seems to be a treasured keepsake for many Y’s, leaves many of them stuffing their future independence into a drawer. While chatting with some Gen Y’s this weekend, I was stunned to realize they refer to their parentals, as ’The Adults’… Hmmm, I took a deep pause and a thought suddenly popped into my head, like one of those little cartoon lightbulbs… ‘I thought, I too was an adult’? I was really flabbergasted, by the thought that my name wasn’t implied in that statement, but instead ‘Adult‘ only referred to the Baby Boomers in the room at the time. You see, I am on the helm of turning 28 years old, that is nearly 30… 30 people! Just an FYI, for all practical purposes, I am the epitome of an Adult! Oh for gosh sakes, ‘Not the ‘A- Word’’?! Are you kidding me? In case you are wondering, she was not nearly kidding. Apparently, the facets that come along with the “A- Word”, carry alongside them connotations related to the large amount of responsibility and pressure, subsequently ‘too much‘ for certain Millennials to handle. Hence, the classification causes them to feel like they must abstain from the categorization of ‘Adulthood‘. I guess that Merriam- Webster was right, maybe we are NOT fully grown and developed, or mature and sensible, we are surely a childish grouping of the populous… Y’s seem to enjoy the relics of youth and only certain reinforcements of adulthood… so basically, picking and choosing which attributes they feel most comfortable using to relate to their generation… Meaning, we are STILL children! 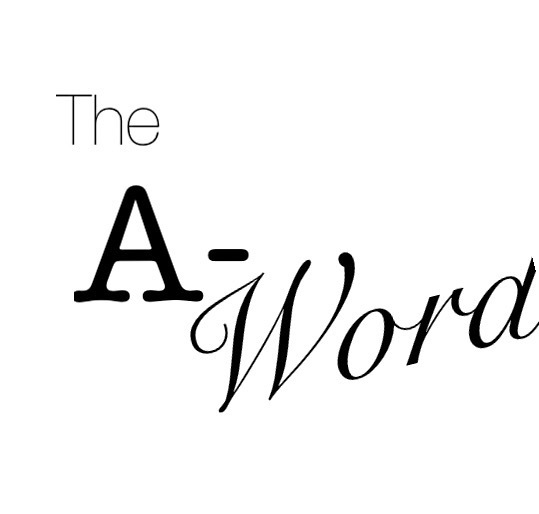 Whosoever believeth that the ‘A- Word’ is blasphemous, is simply disheartened by the realities of their life. Listen, we are ADULTS… Y’s eat like Adults, Y’s drive like Adults, Y’s pay bills like Adults (apparently only some of us do that), Y’s work like Adults (okay, okay I suppose only some of us do that too), Y’s want to be respected like Adults… but, Y’s refuse to be referred to as Adults?! I suppose a Major Life Event, would also include becoming an ADULT … wouldn’t it? It might be a scapegoat to blame our societal problems on student loans… It’s a Millennial cheap shot, which sadly may actually have a point. Let’s break it down, I myself am a Millennial who is currently tied to the ‘student loan umbilical chord’, so I kind of see what the statistics mean, because I am apparently a part of it. No, I haven’t been able to buy my own home, Y? Because I live in one of the largest and priciest Metropolitan cities in the country, where affordable housing is frankly unaffordable. I was raised within the parameters of a lifestyle, that with my choice in career, I frankly cannot afford on my own. I am single with no children and between medical insurance, car costs and living expenses, I barely make enough cash influx to wax! Alright, alright… I said barely! I would rather live on sunflower seed butter and rice cakes, than NOT wax! In all seriousness, the question still remains… When will Y’s be comfortable and stable enough in the maturity of their future, to refer to themselves as Adults? What will it take, to make Y’s stop questioning their potential and help a generation (now the largest living sector of the U.S. population) from reveling in the propensities of adulthood? The Y Life will keep our eyes and ears open for you and… As soon as we know ourselves, we will let U know!